Info: Le Clos des Bruyères hotel is a 3-star hotel located only 2 km from the Gorges de l'Ardèche. It has a shaded park, an outdoor swimming pool which is open during summer and a traditional restaurant. Info: Le Domaine de Chames Vallont-Pont-d'Arc is located in a 10-minute drive from the centre of Vallon-Pont-d'Arc. 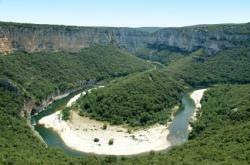 It offers a restaurant and a 3-hectare park set by the Ardèche River. 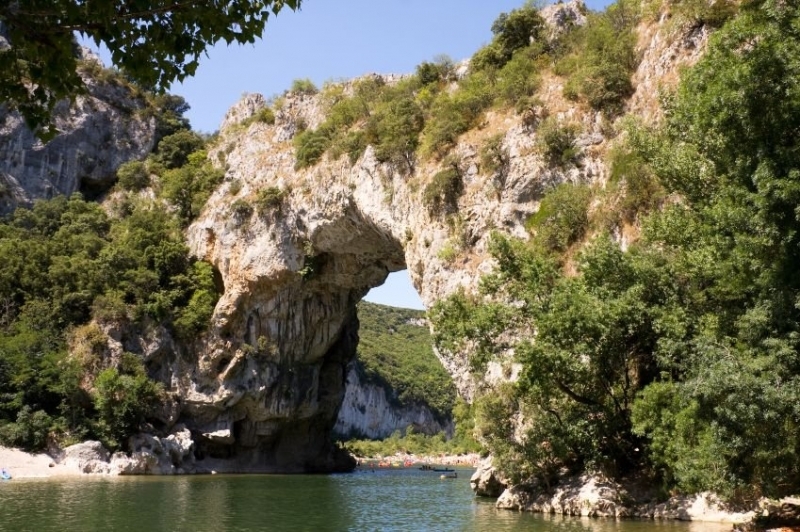 Info: Located in Gorges de l'Ardèche, a 2-minute walk from the Pont d'Arc and its beaches, this hotel offers free Wi-Fi access, an outdoor swimming pool and a terrace with sunbeds. Free private parking is available on site. Info: Located in the centre of Vallon-Pont-d'Arc, a 10-minute drive from The National Nature Reserve of Les Gorges de l'Ardèche, this air-conditioned self catering cottage offers an outdoor swimming pool. Free Wi-Fi access is provided.